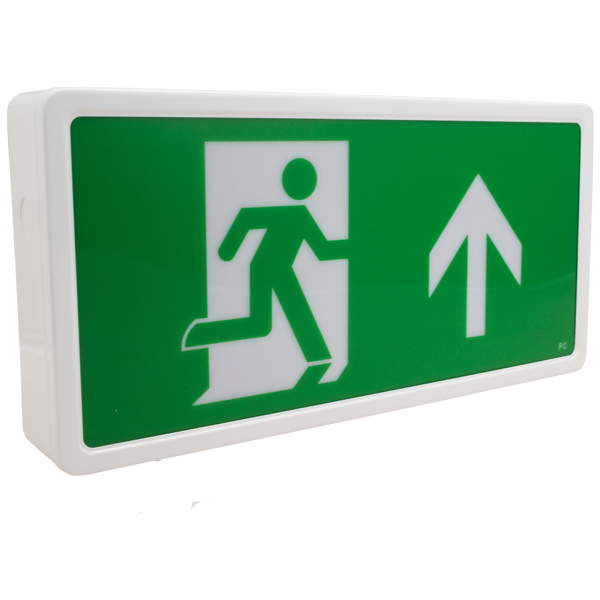 Save up on your energy consumption with our 220/220V AC 50Hz low energy fire exit light box. 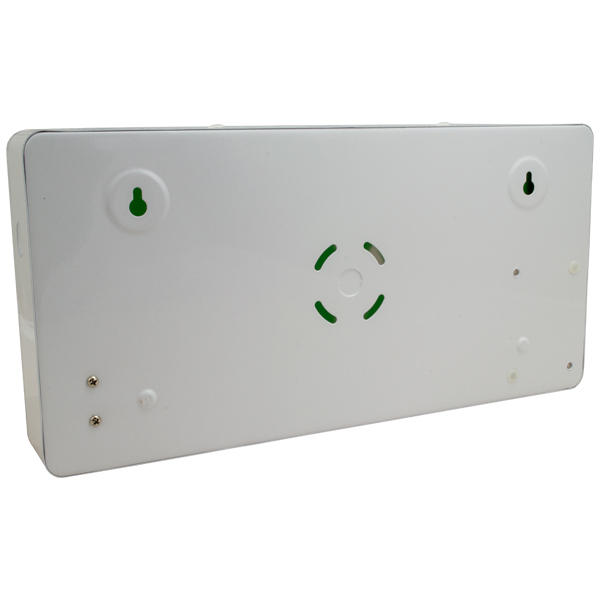 Convertible from maintained to non-maintained modes, this fire exit light boasts input and output wattage of 4W and 5W, respectively. The LED lamp can provide up to 3 hours of light during emergency situations involving power cuts. 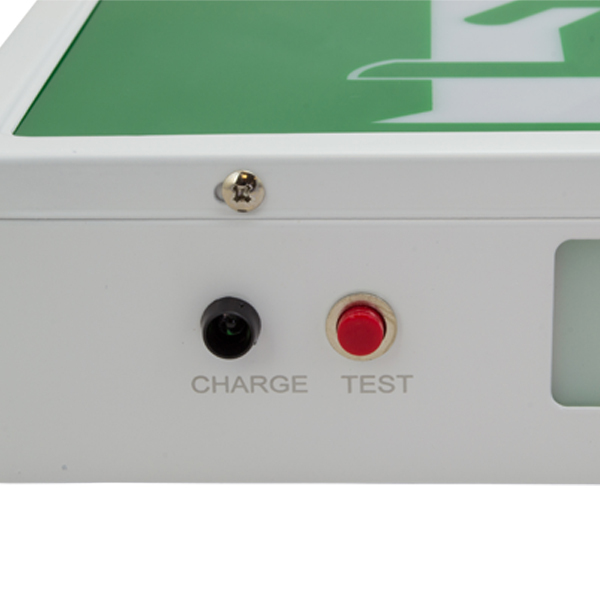 Its 3.6V 1.5Ah nickel cadmium battery has a charging period of 24 hours. 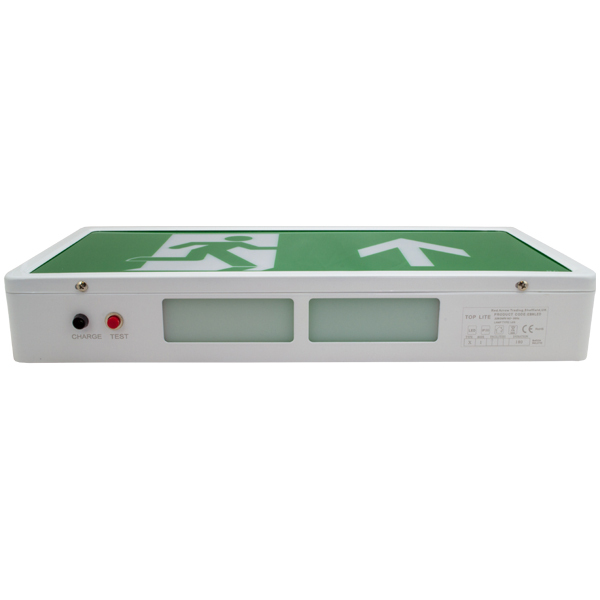 Rated IP20, our low energy fire exit light box has a temperature range of 0 to 40 degrees centigrade. It measures 390mm x 198mm x 62mm (LxWxD), with a steel base and polycarbonate diffuser and legend.